In large bowl, beat milk, coffee, pudding mix (dry) and 2 tablespoons sugar with wire whisk about 2 minutes or until slightly thickened. In chilled large bowl, beat whipping cream and 1/4 cup sugar with electric mixer on high speed until stiff. 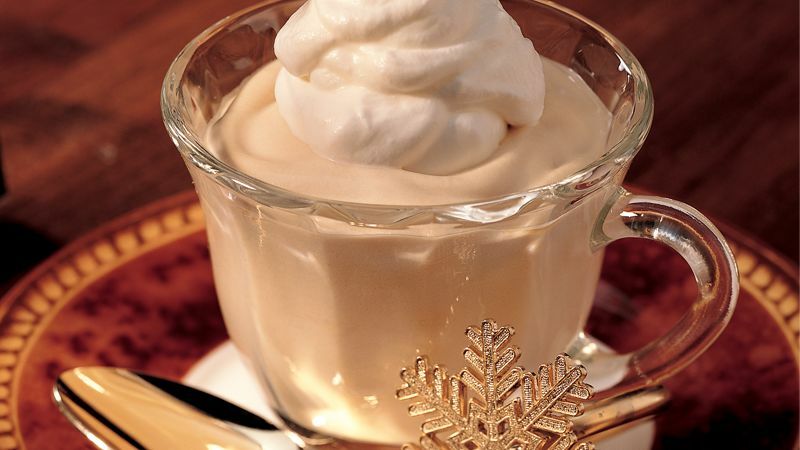 Gently stir whipped cream into coffee mixture. Spoon into individual dessert dishes. Refrigerate about 15 minutes or until set. Whipping cream will whip faster if you chill the bowl and beaters in the freezer for about 15 minutes. Garnish with a dollop of whipped cream and chocolate-covered espresso beans.